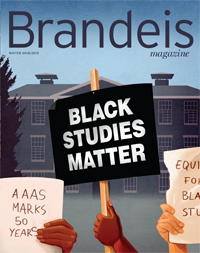 Thank you for featuring a story about Louis Dembitz Brandeis (“American Sage”) in Brandeis Magazine’s Winter issue. 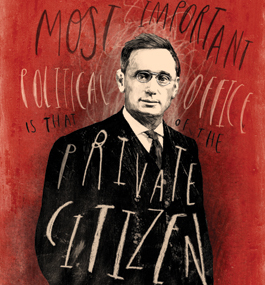 Like many students at Brandeis, I knew little about him while I was there. But lately I find him surfacing in unexpected ways, as though to affirm an ongoing significance for me of my time at the university. I have been reading about a fascinating, much-defamed sect of Sabbatean Jews, the Frankists, for whom Jewish destiny was bound up significantly with Christianity, in ways that alienated many fellow Jews. I was surprised to discover that Brandeis himself, though largely unreligious, descended from distinguished Frankist families in Prague. Although I have not been able to discover Brandeis’ own attitudes toward this sectarian legacy, I am heartened by the idea that a great Supreme Court justice inherited a history of ties to so countercultural a movement within Judaism.